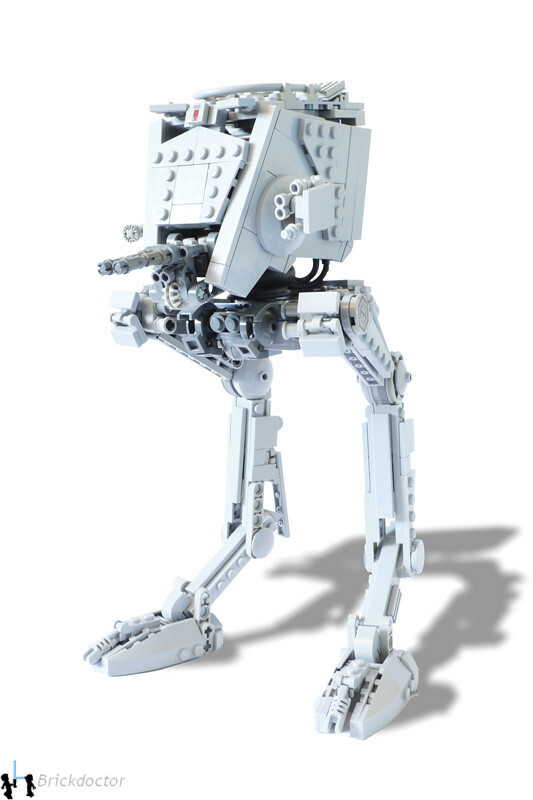 The AT-ST's always been one of my favorites. The overall design is just awesome. 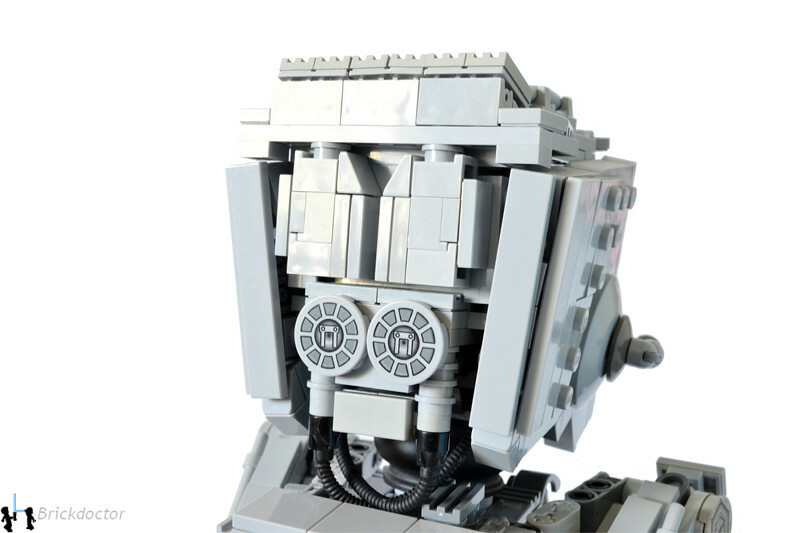 Building mine, I went with my usual sizing, with emphasis on high amount of detail and low amount of studs. 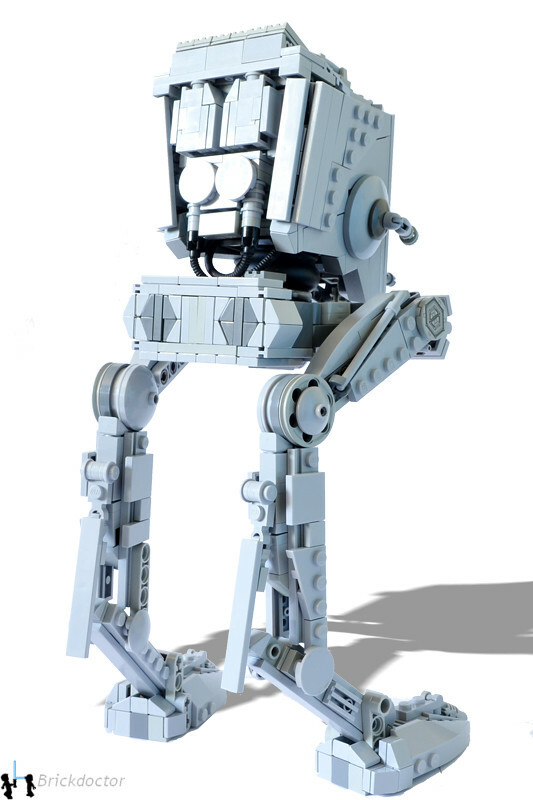 The most challenging part of the build was, probably as expected, getting the model to stand on its own two feet. It does - and with full articulation - but I did end up making a stand for it, since displaying it by itself was too scary. 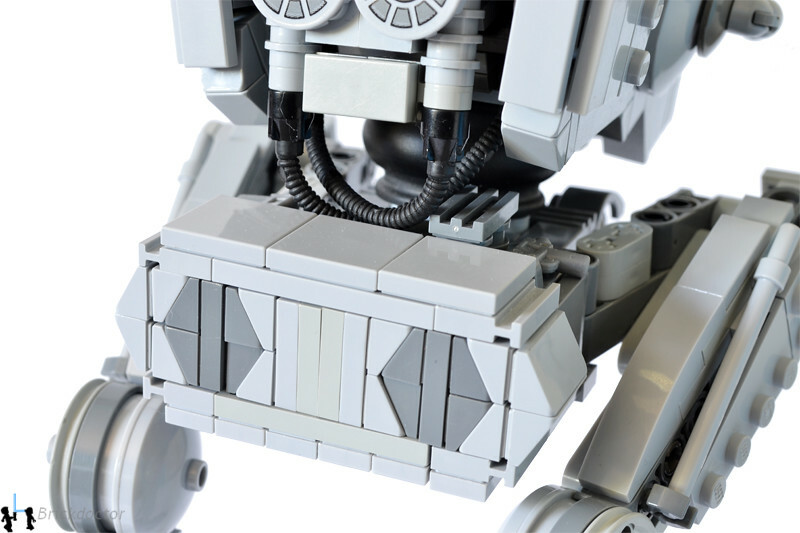 For this MOC, I also attempted to work the Technic required to hold it together into the overall design and shape, and not just as greebling or hiding it. Weapons! Everyone likes complicated guns, right? 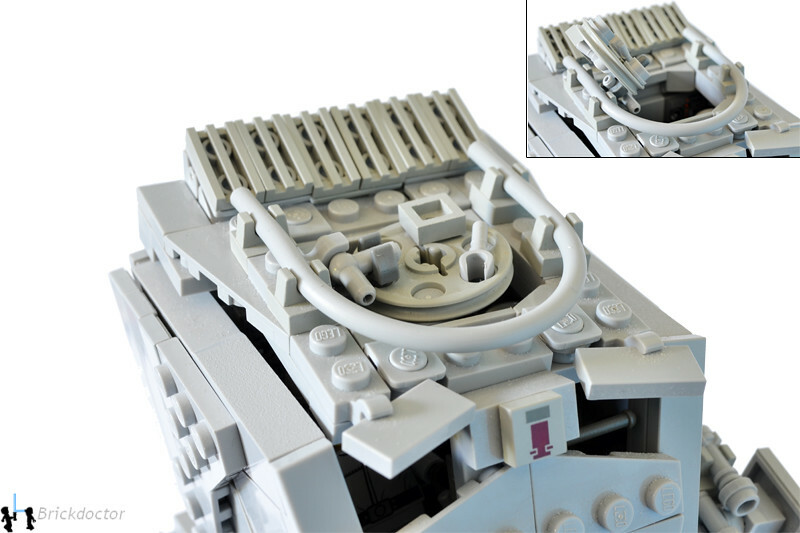 The main gun was a challenge, because of all the little cylinders on it. Binoculars solved that well, I think. One of the things I don't like about some AT-STs (my previous Midi-scale included) is that the concussion grenade launcher is too big, so I attempted to get that right in this model. The repeating guns on the side were a little troublesome as well; I still think they're a little bulky. I love this shot. The hoses and shapes on the back of the 'head' work so well together. 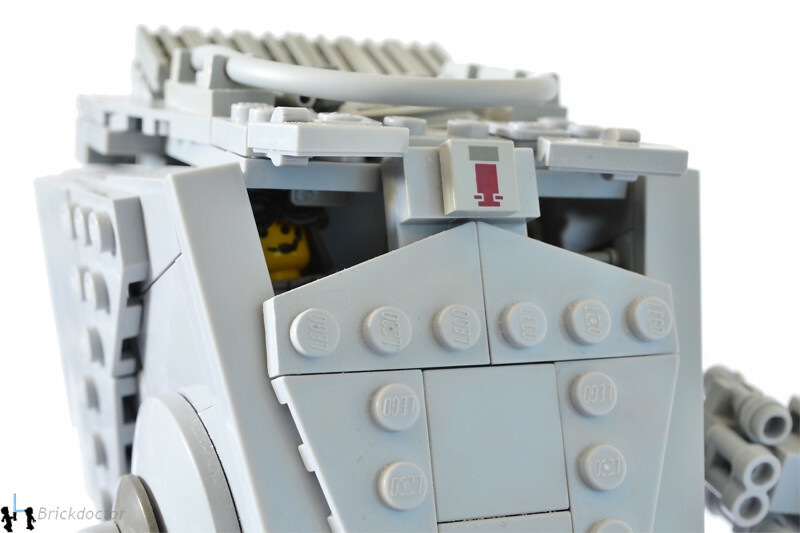 One thing a lot of people I've talked to assume about the AT-ST is that the cockpit hatch opens to the back. Actually, it opens to the side. To make things more difficult, I decided that a 3-wide hatch was the right size. Full interior, of course. Seats two, comfortably. No shots of the whole interior at the time, but I'll probably take some eventually. This was one of my favorite parts to work on. I see all those great cheese slope mosaics others do, but I've never previously had a chance to do something like that myself. No, they're not all attached. Most are, but six are held in only by friction. This is probably the only place where I strayed from the basic design of the studio model. 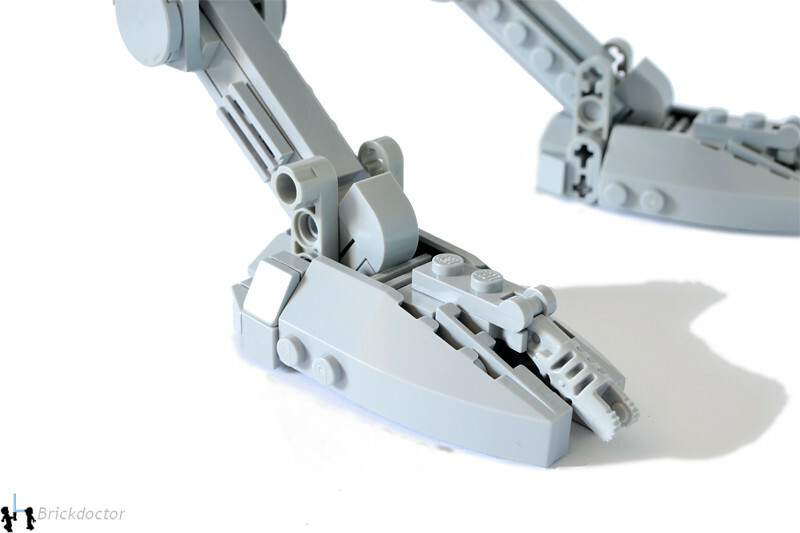 Instead of the leg rotating on a piece attached to a hinge, I went with a ball joint, which was much stronger than any of the other LEGO assemblies I could come up with. Ooh, very tough, these. 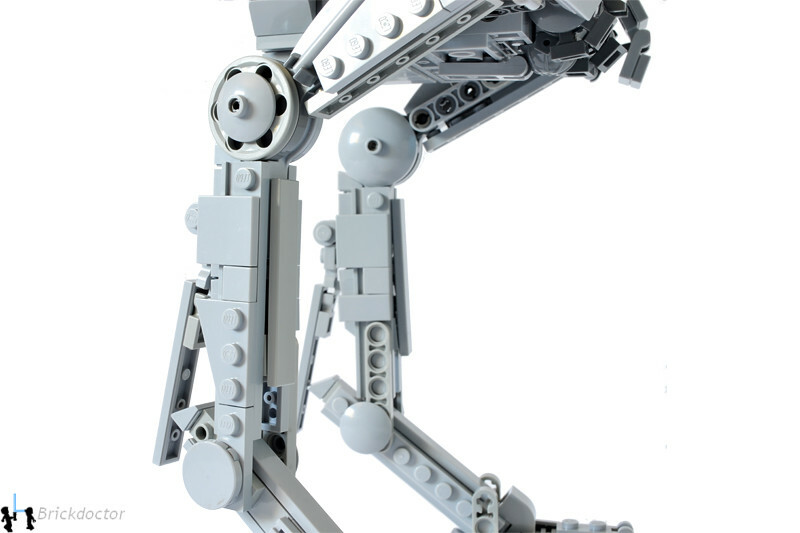 If you ever desire a feeling of intense satisfaction with an MOC, go build something that has to hold up a chunk of heavy SNOT with two legs that include multiple joints and have to be skinny and detailed. If you've never done a fist pump before, you will do one when you get it to stand up on its own. Not totally satisfied with these. Couldn't find anything good for the fence cutters other than these, which lots of people use but are a bit on the small side. This is the only point in this vehicle where one can really greeble. 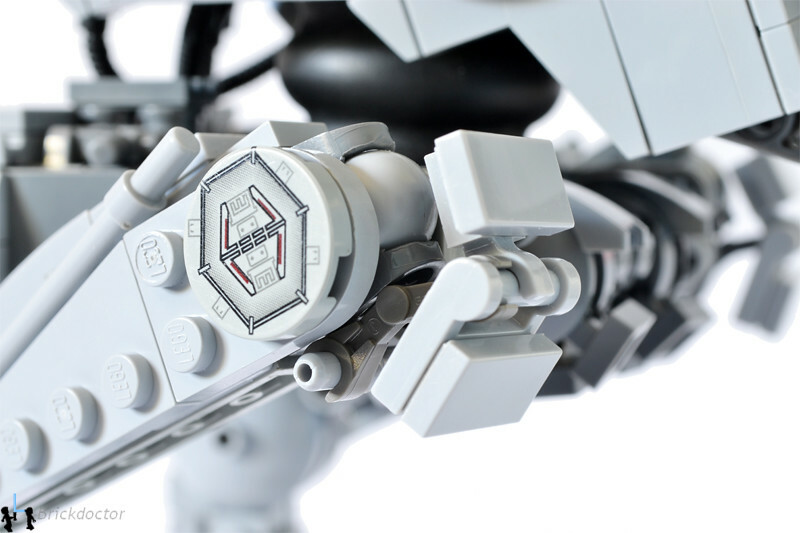 I did want to point out two parts in the above shot - the 'neck' is a rubber tire flipped inside-out, and the greebling includes a samurai helmet. Much credit and inspiration is due to marshall banana. Source material I worked with can be found here. FInished July 2011, C&C welcome. Thanks for looking! Hi. 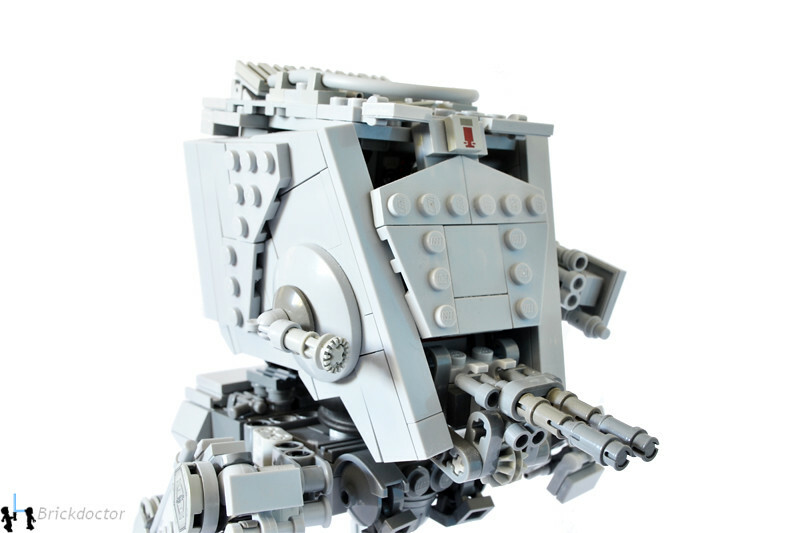 I found this site by googling lego AT-ST and saw this Moc. Very nice Mr Brickdoctor. I like the shape of it and think it looks very accurate. Triangle Man wrote: Hi. 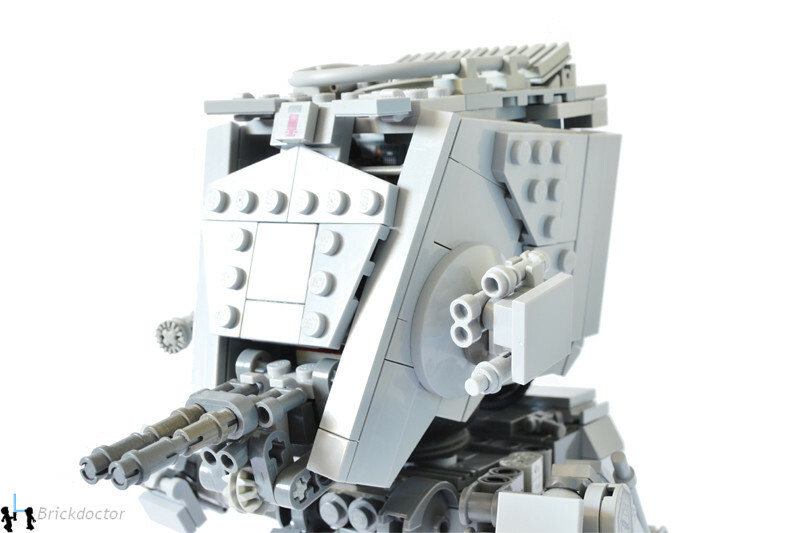 I found this site by googling lego AT-ST and saw this Moc. Very nice Mr Brickdoctor. I like the shape of it and think it looks very accurate. Welcome to KOTBR, Triangle Man. The reason there are no comments is that this site just got started, and you're actually our first non-invited member.